So you are still in quest of the best Android browser, aren’t you? 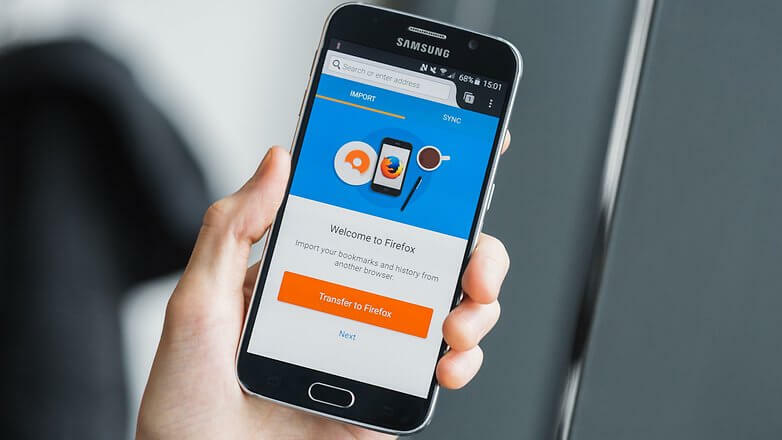 Well, you can take a deep breath now as you will find the best browser for Android phone from this list of seven of them. Smartphone browsers have been changed a lot over the past few years. Some items conveyed their arrival whereas some mobile browsers made their way to the top by improving the performance and interface. In this list, you are going to find seven top-notch browsers; each of them differs in features and interface. If you have a particular reason to look out for a browser, you should read the text under every browser carefully to check out whether it is available or not. 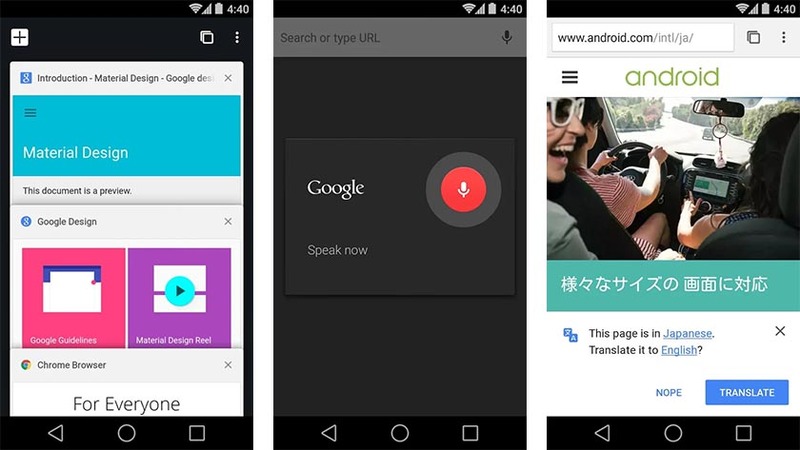 If you haven’t used this Android browser for long, you may find this selection to be awkward. I admit the fact that Chrome for Android was no way near the best. But guess what? It’s now sitting on top of best browser apps for Android phones. So you can guess how awesome it is now. If you have got a decent connection and wanted to stream media files, I don’t think there would be another option that can beat Google Chrome. The best thing about it is the cross-device syncing. You can browse the mobile surfing history from your computer. But I can’t recommend Chrome as a browser for old Android phones because it needs decent hardware to keep running without any glitch. The higher the number of tabs, the greater the resource usage will be. Nonetheless, Google Chrome creates no issues in today’s phones. Do you have a poor internet connection? Or can’t you even get 3 G until now? 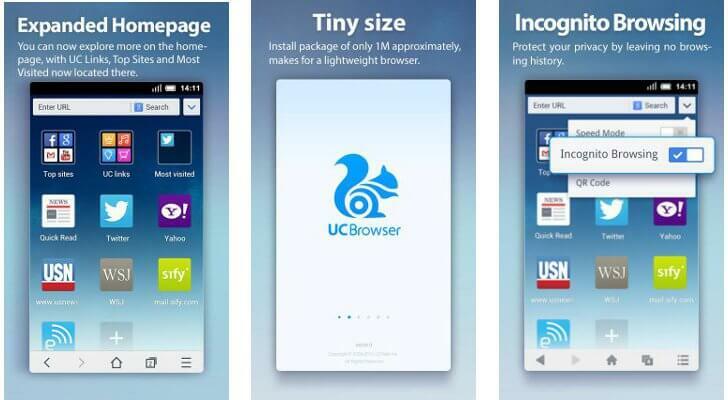 Then, UC Browser Mini is the Android browser you should get. I know how hard it is to access Play Store from a 2 G network. Even if we access, downloading a heavy-sized app may take ages (most of the times download fails). But UC Mini will not disappoint you as it weighs only 1.48 MB in size. Moreover, it avoids fancy elements in a web page to display the necessary details. And, it is the best browser for downloading files. The download manager UC integrated into the browser has a speed boosting feature that decreases the download time. Even though I have a broadband connection, I choose UC Mini over anything to download files using my phone. I vote UC Mini as the best browser for slow Android phones. 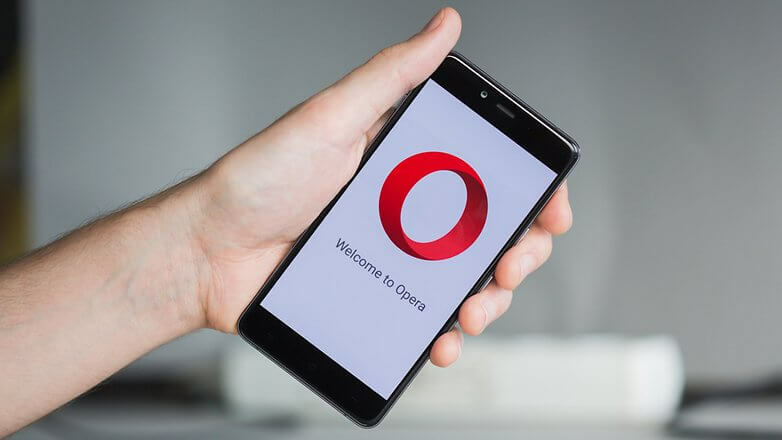 Opera is one of the pioneers among mobile browsers. And, I can surely say that it is one of the best free browsers for Android. Well, what makes Opera unique? The data saving capability! Yeah, when you compare the data usage with most of the competitors, you will find out Opera browser uses the less data. So for folks looking for best Android with less data usage, Opera browser will be the perfect pick. It has an impressive feature called speed dials that allows us to pin websites we frequently visit, to the homepage for easier access. 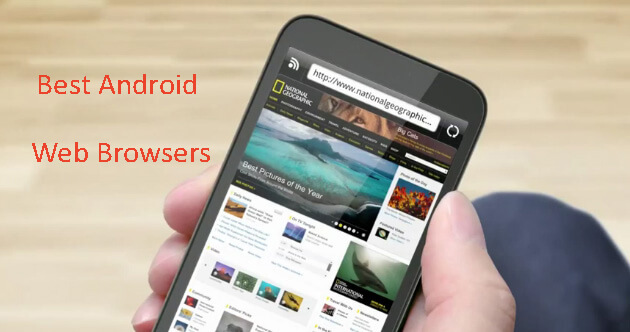 Are you looking for best Android browsers with flash support? Then, here ends your wander. Firefox is one of the few browsers for Android with Flash. I hope you used the desktop version at least once in the past. If you are still using it, I highly recommend downloading the mobile app because it would make your job easier with data syncing. The customizability gives an edge to this browser as compared to other counterparts. You can download any add-on from a whopping number available. And, they allow you to organize the homepage the way you want it to. Ever since the sprouting days of Android, Dolphin browser has been a fans’ favorite. It was the first Android browser that realized what users want. Though the major browsing stalwarts have been outplaying Dolphin with similar specs for the last few years, it hasn’t lost the charm. Being the best browser for Android phone, it provides a lot of features. Just like Firefox, Dolphin also supports Flash. And, you can customize the interface with the available themes as well. The ad block and add-ons are what you can’t find on every browser for Android. Do you use dedicated applications for services than web browsers? If you are one such person, you will find Flyperlink to be productive and time saving. What Flyperlink does is open web pages on a floating bubble that you don’t have to leave the app you use at the time. 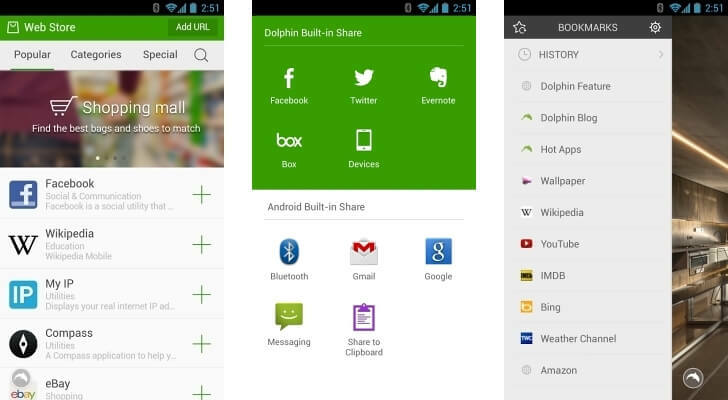 It makes use of the share button on apps to catch content. 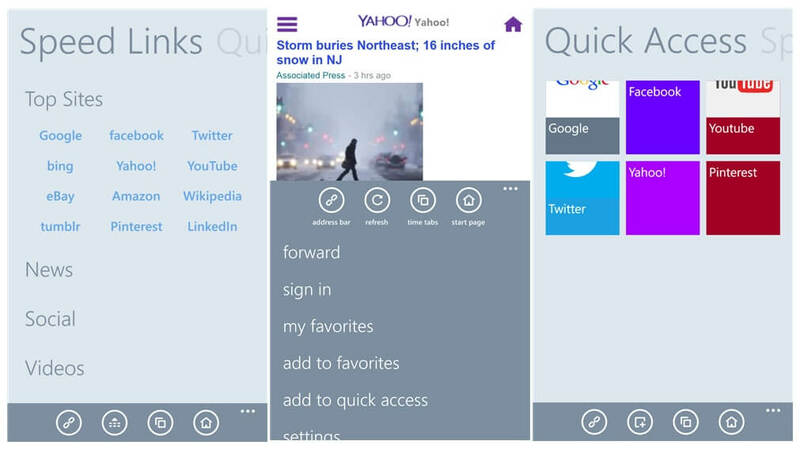 If you want a full-fledged browser window, a single tap will satisfy you. With the recently added support to Chrome custom tabs, Flyperlink has been armed with everything that an avid multitasker looks for. Next best browser for Android phone is Maxthon. It has a spellbinding set of features to enjoy mobile browsing like never before. 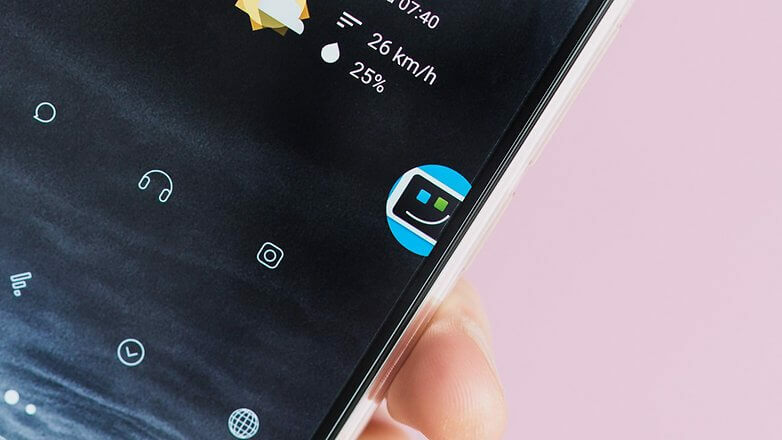 Maxthon’s download manager is fast enough for quick downloads, and their gesture feature can save you one heck of time. The Ad block plus option eliminates all distracting ads from your field of view for the smooth experience. Passport is their cross-device syncing feature to have mobile browsing info on your computer or another device whereas Cloud Push aids you to send links to other phones or PCs. Seeing all these features, do you think Maxthon is one of the best Android internet browsers? Here we are, at the end of best web browsers for Android. You have got seven glitch-free and feature rich browsers to use. I have personally used each of them, and currently I am with Google Chrome. Don’t hesitate to reach me out if you face an issue with any of the browser apps shared here. In case you are a satisfied user of a browser in the list, let me know why you love it. Don’t forget to hit one of the share buttons to help your social media fellas.